It has been a crazy three weeks! It all began when we started noticing strong, persistent northeasterly winds setting up across the North Atlantic in late April – a system that Newfoundland birders hope for at this time of year. Spring migration of European birds over the Atlantic, especially to Iceland & Greenland, is peaking in late April and early May and history has shown that these weather systems can bring wayward migrants to our coasts. 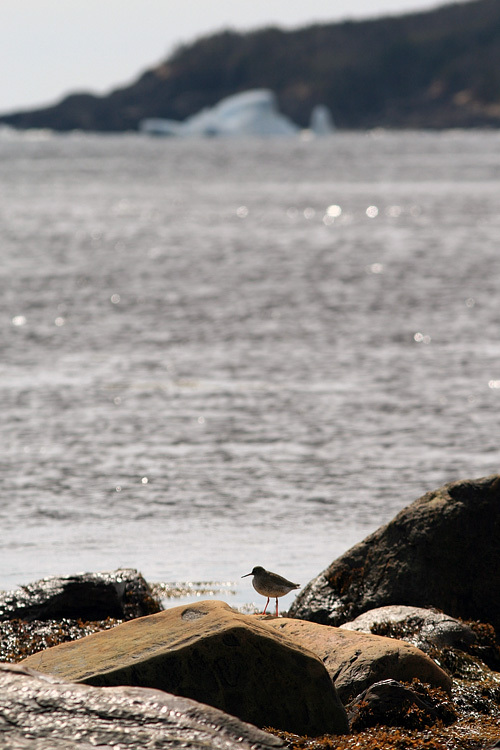 This fun photo, showing a mega-rare Common Redshank with an iceberg backdrop, is a nice reflection for how spring has been in Newfoundland. Cold, beautiful, and extremely exciting!! 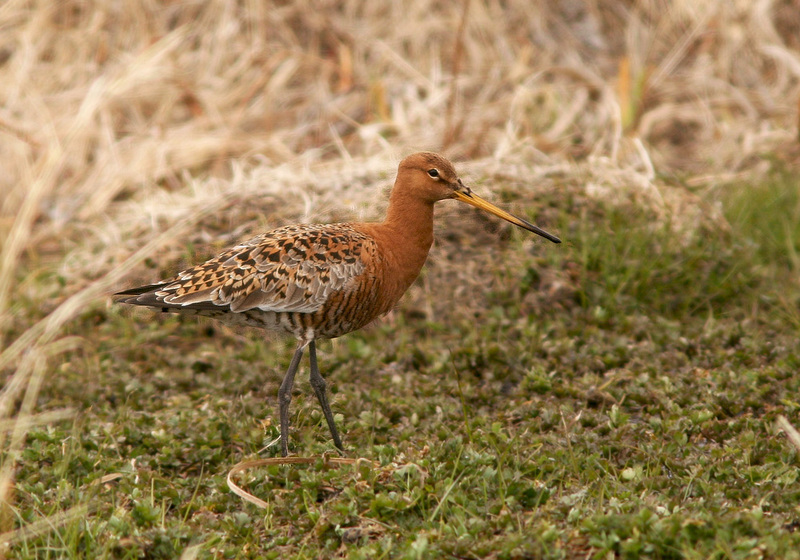 The “event” started with two Black-tailed Godwits discovered in Renews, and just kept growing over the next two weeks. 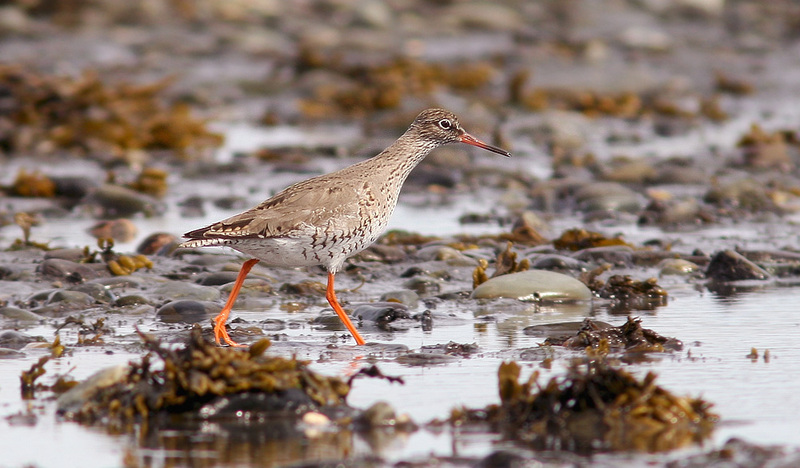 COMMON REDSHANK – 2 !! A single bird present at Renews from May 3-13 was joined briefly by a second on May 4. ROSS’S GULL – an adult at Torbay (April 29-30) was completely unexpected and may have caused more local excitement than any other bird this spring. BLACK-TAILED GODWIT – a total of 12 (!!) reported at six locations island-wide. EUROPEAN GOLDEN PLOVER – 200+ individuals reported from two dozen locations all over the island & SE Labrador … not quite a record invasion, but very very impressive. 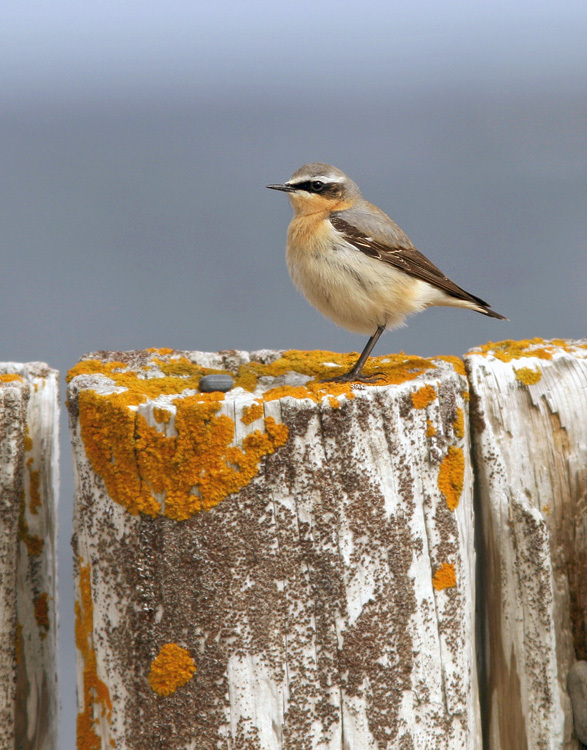 NORTHERN WHEATEAR – Dozens reported from locations island-wide – and clearly many more went unnoticed. DUNLIN (Icelandic/Greenland race) – 1 at Cape Spear (May 3). This may be of the schinzii subspecies which has very few, if any, previous records in North America. 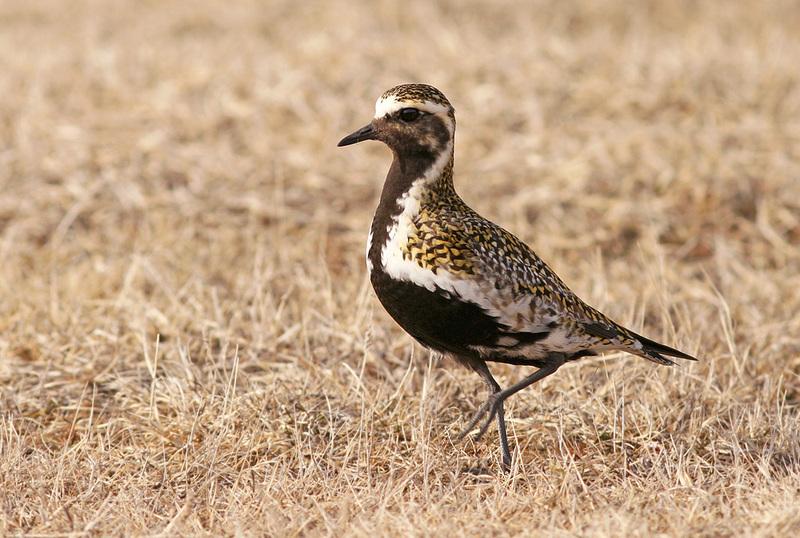 The breadth of the invasion was evident not only in the number of European Golden Plover reported in early May, but also the geographic distribution across the entire east/northeast coast of Newfoundland and southeastern Labrador. The largest single flock of European Golden Plovers occurred in Goulds (St. John’s), where an initial handful of birds swelled to at least 90 in just a few days! 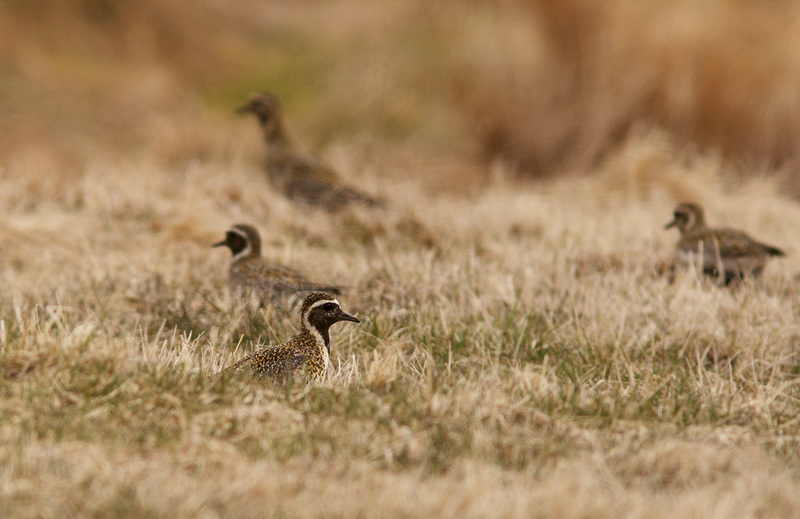 These European Golden Plovers, part of a flock of nine, were in an unassuming backyard at Old Perlican on the northern tip of the Avalon Peninsula. During that time, I have been able to enjoy seeing many of these amazing birds, visit some of my favourite birding locations, and share the experience with many other birders from near & far. I have especially enjoyed birding with a number of keen birders who visited from all over North America to see these incredible ABA rarities … people from Ontario, Maine, New York, Massachussetts, Michigan, North Carolina, Texas & California!! 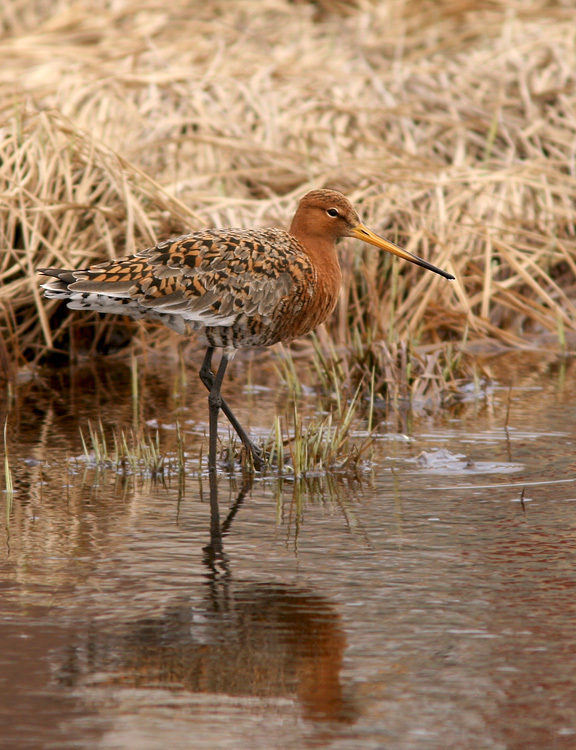 I was fortunate enough to see six Black-tailed Godwits in four far-flung locations during the past few weeks – including two at Renews, two in St. Paul’s Inlet, one in Goulds and this one at Old Perlican. After a long, cold but very thrilling three weeks, the winds have finally turned southerly and many of our lingering visitors appear to have moved on – hopefully back to their intended destinations of Iceland & Greenland. Regular spring migration is rearing its head now, with a flood of more expected arrivals from down south being reported in the past few days. While the “Euro Invasion” of spring 2014 is winding down, the awesome birds & birding of these past few weeks will remain fresh in our memories for a long time to come … and we’ll always be keeping an eye on the winds! 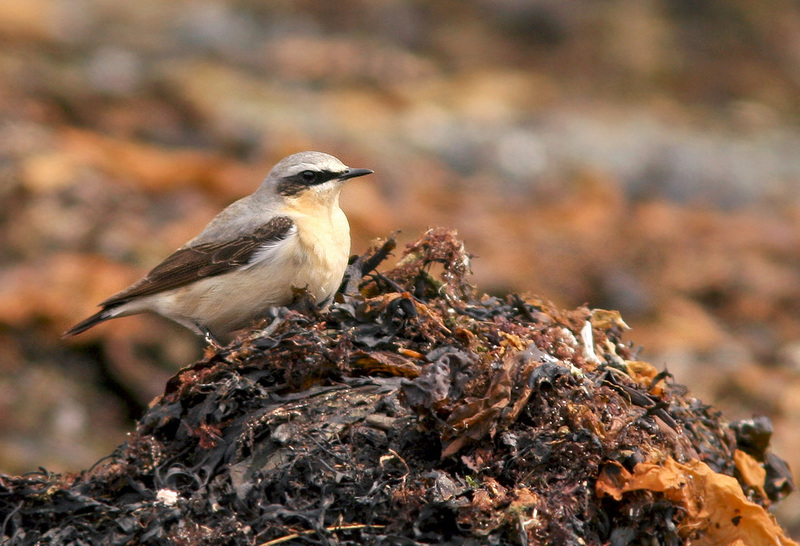 Northern Wheatears are rare but expected in Newfoundland most springs. However, these winds brought dozens of reports, likely of birds that would have been destined for breeding grounds in Iceland or Greenland rather than northern Labrador. 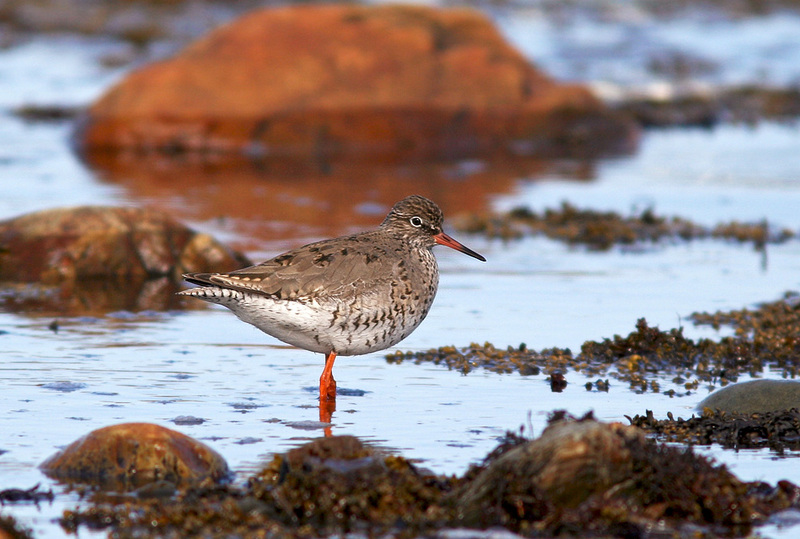 However, the real star of the Euro Invasion was a Common Redshank at Renews from May 3-13. Since it represented just the third record (and seventh individual) for both Newfoundland and North America, many birder came from near and far to see it. A second individual presnt at the same location on May 4 was chased off by the first and never seen again! 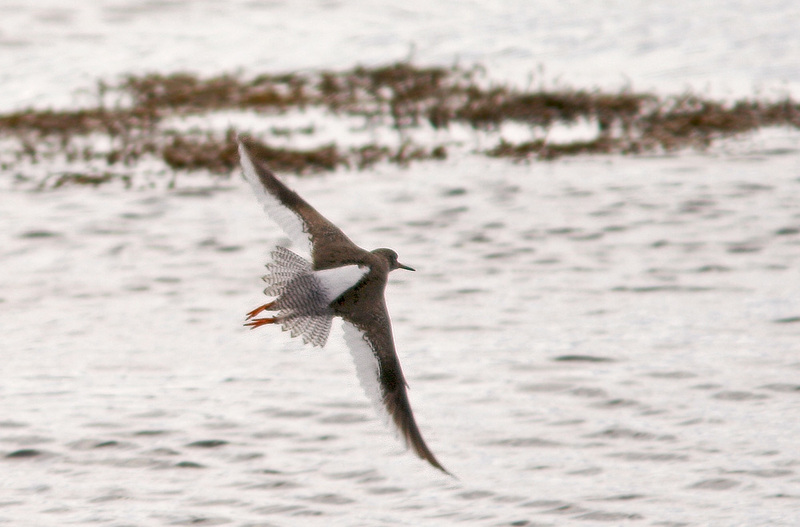 The striking wing and rump pattern of Common Redshank is very different than the familiar Greater Yellowlegs that were also hanging out at Renews. We seem to have said “Good-bye” to this popular visitor, with no reports since May 13 despite plenty of looking. And so winds down this amazing event that has dominated Newfoundland (and North American) birding so far this spring! This entry was posted in Uncategorized and tagged Black-tailed Godwit, Common Redshank, European Golden Plover, European vagrants, Newfoundland, Northern Wheatear, rare bird, Spring. Bookmark the permalink. Thanks Jared for the great (recap) blog post. 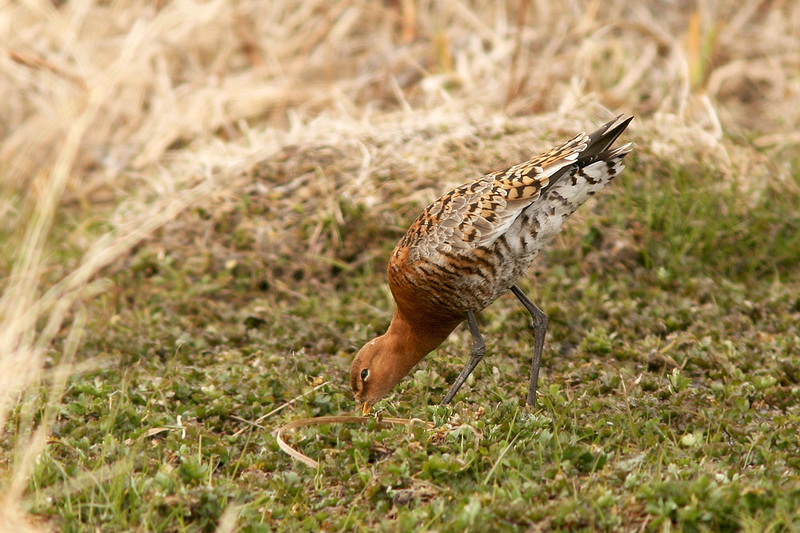 I’m very grateful I was able to be there and share in NL’s amazing run of spring rarities!